Italy’s financial markets and service providers regulator CONSOB has issued a warning against a forex broker that is operating in violation of Italian law. The company is not regulated by any financial watchdog. In fact, it is registered in offshore zone, which suggests it might actually be a scam. 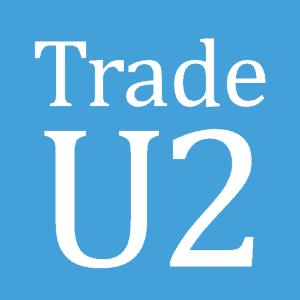 Tradeu2 is a Forex broker that operates through the website www.tradeu2.com and offers currencies, precious metals, commodities, CFDs and Futures trading options. The brokerage is owned and managed by the Sun Capital Limited, a St. Vincent and the Grenadines-based company. This is a jurisdiction where Forex license is not required. Moreover, local authority doesn’t issue forex licenses, which mean that the broker is most probably a fraud. Tradeu2 doesn’t provide any contact information or any details about it’s location. The terms and conditions on the website state that the company is under the jurisdiction of Cypres, however, the broker does not claim to be regulated by any governmental agency and it obviously isn’t. As to the Sun Capital Limited, the company has been banned multiple times by different regulators including Swiss Financial Market Supervisory Authority warning and Autrian Financial Market Authority warning. Obviously, the company that has this kind of reputation cannot be trusted and we cannot recommend Tradeu2 (Sun Capital Limited) as a reliable investment entity. It is better to choose among brokers licensed by the respective authorities in the UK, or Australia for example. For instance, a broker registered with the UK’s FCA can’t simply take investor’s money and disappear. They follow multiple reporting procedures and have to keep client funds segregated from the company’s.